Thursday, April 11th, 2019, 6 p.m.
Can't make this event? Not to worry, we're happy to put a copy aside to be signed for you! Call (603-224-0562) or click the purchase link down below. Don't forget to say how to have it signed! 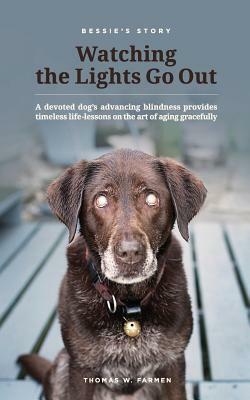 Bessie's Story - Watching the Lights Go Out is an inspiring story about a charming, brave, chocolate Lab who gradually loses her eyesight. The author leads the reader from the unexpected diagnosis of terminal blindness for his beloved four-year-old pet through the two-and-a-half year transition to sightlessness.